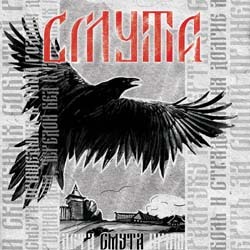 Russian folk pagan metal band Смута (Smuta) has recently released a new single, which is self-titled to the band’s name “Смута“! A video for the song has been already shot; it is being edited right now and will be published soon. The band members were repeatedly asked about the name of the group and its meaning to them. They think this song is the answer to these questions and reveals their relationship to the very idea of “cмута”, which they consider timeless and not tied to any historic events like the “Time of Troubles”, as they have told before. Smuta is extremely difficult times in the history of their (and not only their) Motherland, whether it is 10th, 17th, 20th or 21st century, it is the times of pain, suffering, spite, permissiveness and anarchy.